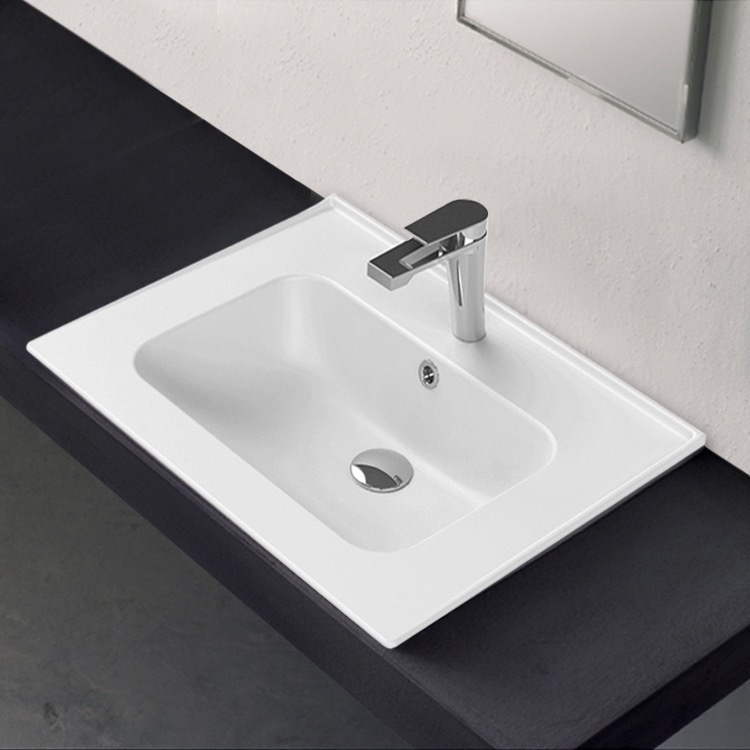 Rectangular white bathroom sink made from high quality ceramic. 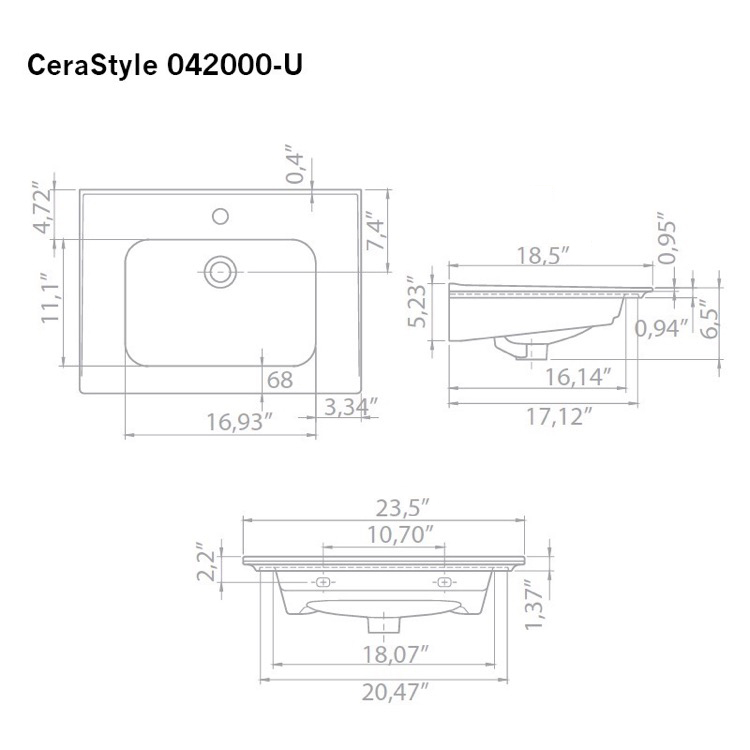 Part of CeraStyle's Blue collection, this sink can be either wall-mounted or drop-in and includes overflow. Perfect for the contemporary style bathroom.